The Japanese multinational conglomerate manufacturing company, Toshiba has recently announced its latest portable DVD player which features an 12-inch LCD screen display with resolution of 800×480 pixels, offering an 170 degree wide viewing angle. What so special of this portable DVD player? 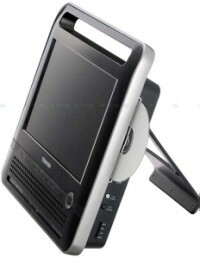 This unique portable electronic device incorporates a built-in Freeview/Digital TV Tuner, providing users an ability to watch television shows instead of only DVD discs. In addition, it also includes a HDMI port (720p or 1080i) and support for wide variety of memory cards including SD, MMC, XD and even Memory Stick. According to the company, the battery life of this new portable player can last up to 3 hours that enough for most movies. The latest Toshiba SD-P120DT 12-Inch portable DVD player which can support DivX, MP3, and WMA files is available for £349.99 or about $700.